FACTORY78: Global Citizen Festival 2018: Tiwa Savage, Wizkid To Perform Alongside Jay z & Beyonce. Global Citizen Festival 2018: Tiwa Savage, Wizkid To Perform Alongside Jay z & Beyonce. 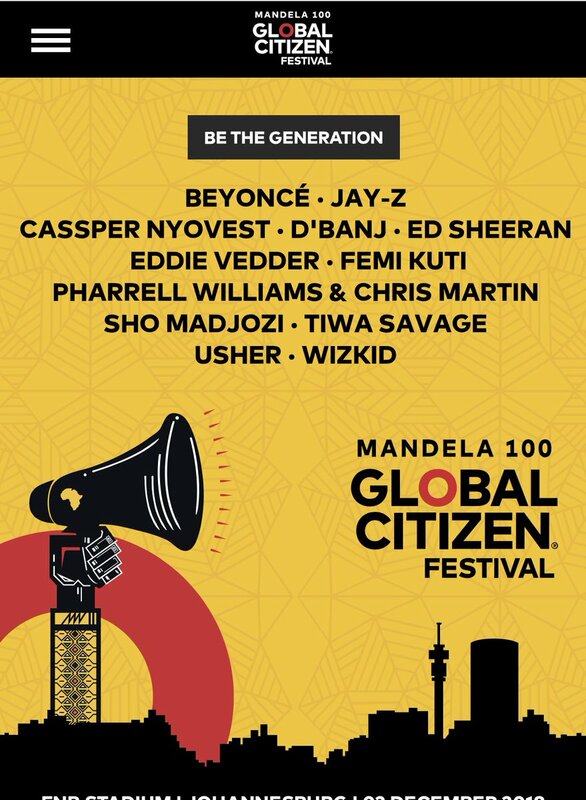 The Global Citizen Festival comes up December 2 in Johannesburg, South Africa. There would be a line up of other international music stars like, Jay Z, Beyonce, Usher, Pharrell Williams, Cassper Nyovest etc. Billionaire media mogul Oprah Winfrey would be the keynote speaker at event which celebrates the legacy of global icon Nelson Mandela.